Relentlessly rising rents and tight supply creating housing crisis conditions in many major cities dominated headlines in 2017. But as we move into 2018, the rental market is showing signs of change. Recent research from Zillow shows housing growth is starting to catch up with demand, meaning more opportunity for property owners. Changing demographics of renters will also benefit landlords and property managers in 2018 and beyond. Let’s take a look at 4 trends that are shaping the rental market heading into 2018 and beyond. Real estate market experts predict that three groups of people will drive demand for rental units in the coming years: young Millennials who are in prime renting age, older Millennials who are saving for a down payment, and aging Baby Boomers looking to downsize. Additionally, most market analysts agree that currently, the short-term rental market is bearish due to a shortage of units. But that’s starting to change. It often takes time for the housing market to catch up to built-up demand, but it is starting catch up. 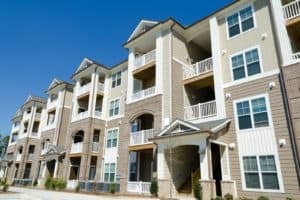 In 2017, apartment construction reached its highest level in the past 20 years. Many of these new apartments will be available in 2018, creating a greater supply for renters and an opportunity for property owners. The relentless shortage of housing has lead to dramatic increases in rental rates. However, market analysts predict that these dramatic price increases will likely slow in the coming years as housing becomes more available. While vacancy rates remain historically low, these figures hide the true issues. Landlords, especially those who own units in the high-end market, are offering more concessions to keep units filled. These figures indicate that double-digit rent increase is likely to slow down in the coming years. But, that does not mean that there aren’t opportunities for property owners. As the housing supply increases, prices will drop, allowing property owners to acquire more properties for rent at reduced prices. The lower property prices will allow older Millennials to purchase their first home, however, in the long-run, the demand for rentals is expected to increase. The reduction in prices is good for property owners looking to expand their portfolio and first-time homebuyers. Most market experts agree that the long-term prospect for the rental market is that it is going to increase in demand. Millennials are only now earning sufficient income to leave their parents and start leasing their own places (especially younger Millennials). In fact, the economy is only now beginning to pick up enough heat to benefit this demographic. For example, rents have slowed in the high-end market but not in the low to mid-range rental market. Market experts believe that the disparity in price increases is due to the lack of development for low and mid-range units. Therefore, there is an opportunity for property owners to fill that niche. Developers are focused on building fancy, multi-story residential towers that are fabulously expensive. However, there are only so many six-figure earning Millennials to rent these units. The largest growth is expected in the low to mid-range market which is underserved. For many property owners and investors, these shifting demographic trends represent a prime opportunity to fill in that service gap. As more boomers become renters and Millennials start looking for their own place, landlords will benefit from these shifting demographic trends.